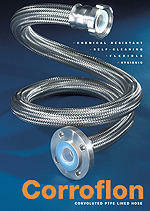 Jyoti Home Appliances - Manufacturer of couplings, gassoflex hoses & technical hoses in Patna, Bihar. Fittings for all types of hoses, composite hoses, rubber hoses, plastic hoses, Teflon hoses. Gasso presents its extensive range of fittings, either of own production such as the distribution of others. Hoses type composite, multipurpose are very flexible and light, appropriate for the transfer of liquids. Specially designed to provide easy handling at all times the loading and unloading of tank trucks, drums and all kinds of decanting. Gasso introduces you to its multi-purpose hose entirely manufactured at its plant in Sant Boi (Barcelona) prepared for the manufacture of hose Gassoflex from 25 to 200 mm in diameter and up to 30 m length rolls, with an annual production capacity of 300,000 meters. 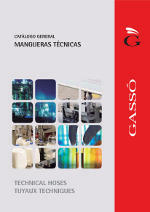 Manufacturing with exclusive technology Gassó and with a higher quality than the existing products on the market. Gassoflex is a hose for shipping products to tank or tank to tank by hose truck. It can be used for hydrocarbons and chemicals, because its inner lining is customizable and resistant. Two spiral, inner and outer, ensure robustness and radii of curvature minima to suit all kinds of cargo and shipping operations: ground installations, loading arms and marine applications. Light but resistant to the pressure because in its construction, the thickness of its walls is set to specified pressure measurement. In its three basic components: interior lining (to be resistant to any kind of product) and customizable in the qualities of the two coils (inox, galvanized iron, PP, PTFE). Water/Air, Petroleum,Steam hot water, LPG, transfer coolant, shot blast,abrasion resistant, food quality, chemical. 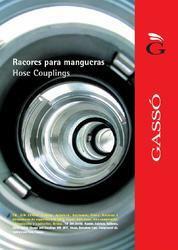 Gasso gives your rubber and PVC hoses manufactured from 12 to 16". Large stock of all hoses and sizes, manufactured with the most advanced technology, exclusive and with a higher quality than the existing products on the market. Light but pressure resistant, compact and robust, all hoses depending on its use are manufactured with the most suitable material. No hose delivers more performance than the PTFE global benefits.Resistance to chemical aggression is unbeatable. PTFE is mechanically tough, but on the other hand, spiral-shaped is much more flexible. The PTFE material is tested for high and low temperatures. 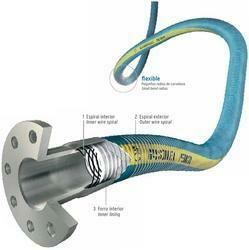 The basic grade of corroflon is corroflon GP,SS in many cases, a hose grade is specified by using the abbreviations. Flexible stainless steel hoses GASSOINOX are tubes of great flexibility and very high resistance against the pressures, corrosion chemistry inside and front abrasion exterior, this is possible thanks to the combination of two flexible constructive elements and stainless steel: a corrugated inner tube and an outer braid. Gasso introduces you to your hose GASSOINOX manufactured and assembled entirely in its plant in Fuenlabrada (Madrid) ready for the manufacture and Assembly of hose Gassoinox from 6 mm to 200 mm in diameter and up to 100 metres length rolls. Gassoinox truck tank or tank to tank by hose is a hose for shipping products. Stairs are the last step before completing a project of loading arms, a good ladder promotes a safe and accident-free charging. Manufacture of structures, platforms and canopies. Gasso manufactures and distributes loading arms and all its accessories and spare parts for them, with a double service ranging from the design of the solution to the maintenance. Our experience has show that loading arms should always be adapted to a previously made design.For this reason stating with a basic configurations, Gasso custom designs their products, type of loading arm, measurements, swivel joints, etc..
Gasso manufactures loading arms and stairs in accordance with the highest standards: ISO 9001: 2000, design, installation and maintenance of Loading arms: top loading, vapour recovery, charging lower hose, 1 liquid phase bottom-loading, bottom 2 stages liquid-gas, Swivel, stairs, Design, Installation and Maintenance of Loading Arms: Toploaders, with Recovery Vapors, Bottom loader, Twin (Gas and Liquid phases) Swivel-Joins, Folding Stairs, Platforms. Precintank is a loading and inloading monitoring unit, that allows for load control during the complet process of transportt and delivery of petroleum products. The systems works separately from the normal operationof the tank truck, this never interfering with it, and can be installed in tankers of one to ten compartmenty. We have a huge range of industrial solutions focused on maintenance and interior pipes cleaning. Comercial Gassó deals and make projects with KIESEL products, best tech to offer you the best solution with complete guarantee. Equiptank Engineering, has the most modern production systems available in order to offer a product that is manufactured following the highest quality standards. Our Technical Department constantly designs and develops new products, which allow us to offer new solutions to our clients. The EQUIPTANK brand includes a complete range of equipment and accessories for the transportation of dangerous goods, dry bulk and all types of liquids in general. The precintak brand includes our range of electronic seal systems. Besides the equiptank standard range of products, our Technical Department develops specific solutions to fit our client's needs. Equiptank Engineering provides a security bonus in fuel logistics, as our priority is to design and develop functional products that comply with the highest safety and quality standards required by the market. Other equiptank products are used for transportationof chemical, food and dry bulk products. The company's main activity centers on the development of new solutions for the transportation of dangerous goods in mobile tankers. In the field of equipments and accessories for tnak trucks commercialized under the EQUIPTANK trademark, the company has obtained a relevant position in the Spanish, Portuguese, Mexican and Egyptian markets, becoming the leading company in fuel and by-product equipments. We are currently exporting to more than 20 countries in the following continents: Europe, America, Asia and Africa.